Production at the company’s Ulm manufacturing facility was doubled at the start of the year, and despite an apparent pause in wider demand impacting the VCSEL supply chain, the company has confirmed plans to double capacity once again within 18 months. “This cumulative milestone comes after two years of significant growth in demand for VCSEL technology, driven by trends such as the introduction of proximity sensing and 3D facial recognition technology in consumer smart phones,” it announced. Having acquired the VCSEL startup company Ulm Photonics back in 2006, Philips Photonics then took a lead role in the European Commission-funded “VIDaP” (VCSEL Pilot Line for Illumination, Datacom and Power Applications) project – standardizing the design, manufacture and testing of the laser devices. Demand for VCSELs has since snowballed after first Apple and then other smart phone companies began to use the technology to enable security applications based on face-scanning. 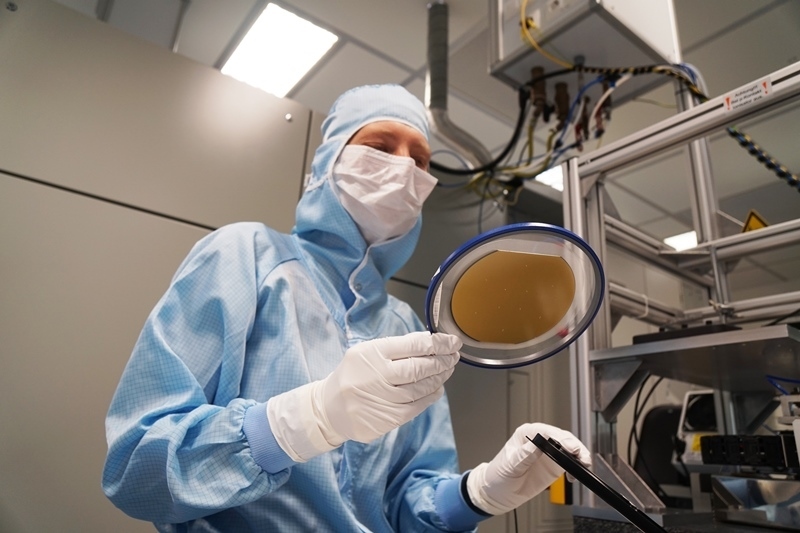 Aside from Philips Photonics, the likes of US-based Lumentum, II-VI, and Finisar, and Austria’s AMS have invested heavily to meet the anticipated growth in demand. The UK epiwafer foundry IQE, which was also involved in the VIDaP project, now plays a critical role in the VCSEL supply chain. But over the past couple of weeks some doubts about the true level of demand have emerged, following reports that Apple’s latest iPhone designs have failed to meet expected sales targets. Lumentum, AMS, and IQE each issued warnings that sales and profits in the final quarter of 2018 would not meet prior expectations. However, IQE’s CEO Drew Nelson indicated in the company’s statement on the matter that the current issue was a delay resulting from recent inventory consumption, and that demand would ratchet up rapidly again from early 2019 as more customers deployed the technology. “We believe that we have retained [an] approximately 90 per cent share of the VCSEL epiwafer market that we enjoyed last year, and based on early initial indications we expect a similar market share in FY 2019, but with a significantly broader OEM end customer spread as the technology penetrates many more devices and applications,” Nelson said. He added: “Reaching the milestone of one billion VCSELs is a testament to the strong demand we see in the market today and in the coming years. The company also cites recent market research from French analyst firm Yole Développement predicting that the “killer application” in smart phone sensing would propel the global VCSEL market from $330 million in 2017 to around $3.5 billion by 2023.